Your accounting software forms the financial foundation of your business, and outdated accounting software doesn’t have the capabilities required to meet your business’ evolving financial needs both today and in the future. 1. Integrating Excel spreadsheets with your accounting software is no longer feasible. Excel spreadsheets can’t mimic database functionality regarding reporting on large volumes of data, such as when inventory or the number of customer accounts grows too large. They are also limited when it comes to collaboration and version control. For example, employees from several different departments may have contributed data to the spreadsheet. But you can’t track spreadsheet changes by the criteria you need (like role and date) to assess the validity of the data. And a lack of version control can present challenges in when it comes to regulatory compliance and month-end closings. 2. Your staff is having to come up with increasingly more workarounds. In a growing business, accounting and financial processes that used to be simple grow increasingly complex. Employees often devise workarounds to try to make their legacy accounting systems do what they’re not designed to do. Before you know it, you’re designing workarounds for the workarounds and your staff is wasting more and more time due to all the inefficiencies. Ideally, your accounting software should be able to manage all of your financial and accounting needs in a single database without the need for complex and cumbersome workarounds. If you’re having to use a second or third database or multiple spreadsheets to manage some financial and accounting functions, this is probably a strong sign that you have outdated accounting software. 3. Your cash flow is suffering. Outdated accounting software can slow your cash flow to a trickle, which in turn can lead to inefficiencies, stunted growth and lower profitability. To keep your cash flow humming, you need to have full visibility into your accounting and finances across the entire enterprise. And this requires an automated accounting system that generates the current financial reports you need to make timely business decisions. Some signs that your cash flow is suffering due to outdated accounting software are growing accounts receivable, mismanaged order quantities and missed discount opportunities. Your accounting software should enable you to establish unique payment terms and plans for your customers and aggregate the information you need to effectively manage order quantities and take advantage of prompt-pay discounts. 4. You’re having problems with order fulfillment. Few things are more damaging to a business’ sales and profits than not being able to fulfill customer orders in a timely manner. Doing so requires having an accounting system that ensures that the inventory held in stock matches the merchandise that’s being sold in terms of both quantities and item numbers — and that the inventory items can be located quickly and easily. One sign that outdated accounting software is hindering order fulfillment is if you’re maintaining non-integrated systems for order entry, inventory management and vendor collaboration. In this scenario, your inventory data won’t be current and there will be disconnects between your sales, inventory and supplier systems. 5. Your error rate is increasing. Outdated and inefficient accounting systems often lead to employees making more errors, including simple data input mistakes that in turn lead to problems in shipping, billing and payments. Most customers today have little tolerance for shipping and invoicing errors given the prevalence of modern accounting software systems that make it easy to prevent simple errors. 6. You need more tools and functionality than your accounting system offers. When your employees are forced to work with an outdated accounting system that lacks helpful tools and functionality, they may become frustrated at the wasted time and inefficiency that result. Upgrading your accounting software to a new system that provides the latest financial tools and functionality will not only improve efficiency, but it will also help boost employee morale and reduce staff turnover. 7. You don’t have a clear picture of your inventory. Inventory management is critical to the success of any business that manufactures goods or sells merchandise at retail. And effective inventory management cannot be achieved with an outdated accounting system that relies on Excel spreadsheets to maintain current inventory data. Without a crystal-clear picture of your inventory at all times, it will be impossible to forecast your inventory needs and ensure timely order fulfillment (as discussed above). Most mid-sized companies change at a much faster pace than their accounting systems. Therefore, it’s critical to make sure that the capabilities of your accounting system are adequate to meet your business’ evolving financial needs both today and in the future. 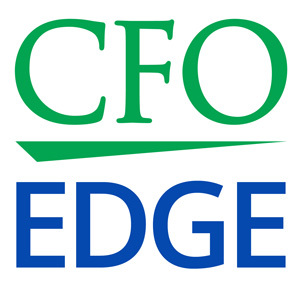 An outsourced CFO services provider can help you determine if your company has outgrown your accounting software and, if you have, choose a new accounting system that has the capabilities to meet your needs.